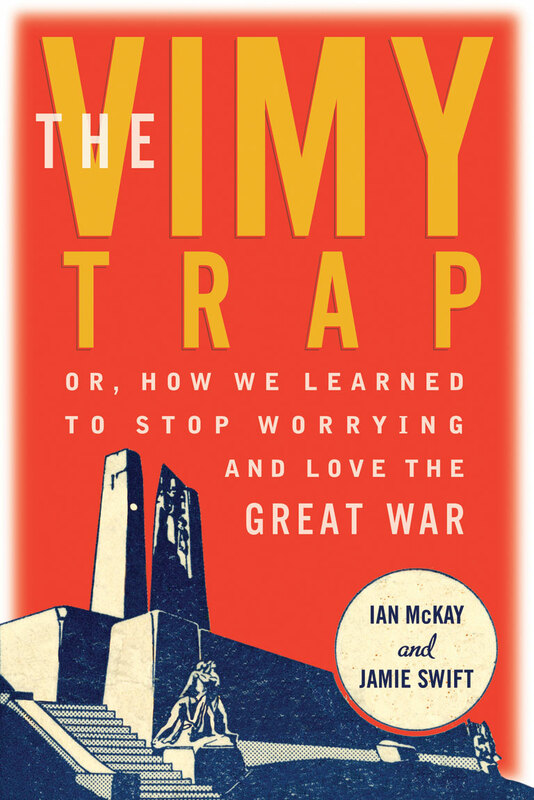 The Vimy Trap, from historians Ian McKay and Jamie Swift, is a biting critique of how Canadians remember the First World War. Set against the backdrop of the citizenship guide that was relaunched in 2011 by the federal government of Stephen Harper, the book seeks to explore and to dismantle how Canadians view the war. Unlike Canadians today, McKay and Swift argue, Canadians in the postwar period overwhelmingly rejected the militarism of the First World War. The idea that Canada was “born” at Vimy Ridge and that it was a heroic battle, hallmarks of the “Vimy trap,” are more recent conceptions that bear little connection to the reality of the Western Front. The Vimy Trap raises a number of important critiques, and the story or myth of Vimy Ridge should be open for discussion and debate. The narrative of Vimy too often overwhelms the story of the First World War in Canada. Likewise, Canadian military history and remembrance activities would benefit from a more international approach and perspective. But The Vimy Trap isn’t really about any of that at its core. The book’s argument is based almost entirely on the work of other historians, with limited new research. For instance, the authors’ very valid critique of Pierre Berton’s Vimy is drawn almost entirely from the excellent collection of essays Vimy Ridge: A Canadian Reassessment, published in 2010. While the book often references and borrows from exceptional international historians — such as Jay Winter, Stéphane Audoin-Rouzeau and Annette Becker, and Joanna Bourke — it rarely takes time to draw out these discussions. There is little attempt to untangle the similarities between Winter’s work and that of Canadian historian Jonathan Vance. For all the talk about how the traditional Canadian narratives avoid dissenting voices, very little evidence is offered from francophone, Indigenous, and other diverse communities. Even the simple task of juxtaposing the battles of Vimy Ridge and Beaumont- Hamel would have provided an important example from a Canadian context. Many chapters are constructed around compelling but limited sources. The chapter “Wartime Photos on Display: The Wounds of Memory and the Push for Peace” explores how Canadians in the 1930s understood the First World War based on the publication of series of photos in the 1934 by the Toronto Star and the Winnipeg Free Press. The authors then proceed to gauge the impact of these photos almost exclusively by citing letters published in the same newspapers. While discussing the photo story the authors remark, “The Great War had taught, or should have taught, humanity that the abolition of war was an urgent priority.” In that small distinction between “had” and “should” lays that quagmire of the First World War’s understanding, and that’s where the authors find themselves struggling. The authors of The Vimy Trap ask readers to disregard the depth of scholarship on this topic in exchange for the persuasive but limited evidence they present in this book. Just as importantly, in attempting to make their argument by lining up almost every act of remembrance and commemoration behind the views of the former Harper government, or the likes of Don Cherry, McKay and Swift misconstrue present-day Canadian assessments of Vimy Ridge and the First World War. There are, in fact, many historians, museums, teachers, and students working to create meaningful and thoughtful remembrance activities that do not fall victim to the “unrelenting Vimyism” the authors perceive all around them.